Armed with duct tape, they had a goal, two of the alleged assailants recalled: Teach the Green Beret soldier a lesson for leaving them behind in traffic on the way to a party at the French Embassy. It was the latest chapter in a feud between Melgar and the SEALs, who had traded accusations about careless behavior that could threaten their mission. One of the SEALs, Petty Officer 1st Class Anthony DeDolph, a former professional mixed-martial arts fighter and Purple Heart recipient, jumped onto Melgar and put him in a chokehold on his bed sometime after 5 a.m., two of the men later told authorities. The other SEAL, Chief Petty Officer Adam Matthews, grabbed Melgar's legs, while the two Marines sought to duct-tape them. They moved on to Melgar's wrists, but they realized he had stopped breathing. "At this point, we immediately began attempts to revive SSGT Melgar," Matthews recalled in a written description of that night's events that he recently signed and submitted to the military. "He remained unresponsive, so we laid him back down and I began rescue breaths while the tape was cut off of him." "His chest rose and fell from my rescue breaths, and during one of the breaths, I saw red-tinted spittle come out of his mouth and hit me in the face." All four men face the same charges, including felony murder, obstruction of justice and hazing, according to U.S. military documents, in the June 4, 2017, death of Melgar, a member of 3rd Special Forces Group who had served two deployments in Afghanistan. The case drew attention to criminal misconduct allegedly committed by elite U.S. troops deployed to several countries to carry out secretive campaigns against Islamist militant groups, including some affiliated with al-Qaida. DeDolph and Matthews, another Purple Heart recipient, were members of the counterterrorism unit commonly known as SEAL Team 6. The other two men, Gunnery Sgt. Mario Madera-Rodriguez and Staff Sgt. Kevin Maxwell, were assigned to Marine Corps Special Operations Command. Some aspects of the case, including the names of the accused and allegations of a cover-up, have been reported previously. But hundreds of pages of legal filings obtained by The Washington Post provide new details about the events surrounding the deadly assault. The documents remove a veil of secrecy on a culture in which womanizing and heavy drinking were said to be commonplace in the city of Bamako, despite alcohol restrictions and warnings about kidnappings and terrorist threats. In “stipulations of fact” - effectively, accounts of what occurred submitted to authorities, and not previously reported by the news media - Matthews and Maxwell acknowledge their roles in Melgar’s death. Attorneys for both men said plea-deal discussions for their clients are underway, as reported by The Daily Beast in March, but they declined to discuss most of the specifics. Brian Bouffard, an attorney for Maxwell, said the men never intended to harm Melgar. Grover Baxley, Matthews' attorney, confirmed that his client has reached a pretrial agreement with the government in which his client will plead guilty to lesser charges that include hazing and assault. His case will be referred to a special court-martial, Baxley said. It is considered less serious than a general court-martial and limits the punishment to no more than a year of imprisonment. Attorneys for DeDolph and Madera-Rodriguez did not respond to requests for comment. No one else has been charged in the case, said Elizabeth Baker, a U.S. military spokeswoman. She declined to comment on many of the details in the documents, citing the open court cases. A hearing in the case was scheduled for December and for March and was postponed both times. No additional dates have been scheduled, she said. The documents leave some questions raised in earlier news reports unanswered, including what else might have caused friction among the men. "It's still a tragic situation, but the motivations behind what happened that night are nothing like what was reported," Baxley said. The documents describe months of tension among Melgar, DeDolph and another SEAL who was not charged. Melgar and the SEALs lived in the same house, while the Marines lived a few blocks away. To limit their interactions, the SEALs banned Melgar and another Special Forces soldier from their operations center, another soldier who also lived there later told Naval Criminal Investigative Service agents, according to U.S. military documents. In the weeks leading up to assault, Melgar brought foreigners to the residence, the other soldier said. He added that Melgar had engaged in "frat-like" behavior and had acted in ways that got them both "uninvited" from events at the U.S. Embassy. At the request of military officials due to security concerns, The Washington Post is not identifying several other Americans who have not been charged with a crime. "Logan, Tony, everyone had a turn at it," the other soldier said of excessive drinking, acknowledging that he also consumed alcohol on occasion. Earlier media reports said Melgar did not drink. Melgar had accused the SEALs of bringing prostitutes to the house, a detail that was first reported by The Daily Beast last year. The other soldier living in the house, asked by investigators about the prostitution allegation, declined to answer directly but said infidelity occurred among some people living there, the documents said. Melgar vented about the men to his wife, Michelle, in a series of messages that she turned over to authorities. "I freaking hate them," Melgar told her. She has asked not to be contacted by reporters, U.S. military officials said. Over beers and whiskey at the Western-themed Appaloosa bar and a nightclub called Byblos, the men discussed hazing Melgar, service members involved and witnesses told investigators. 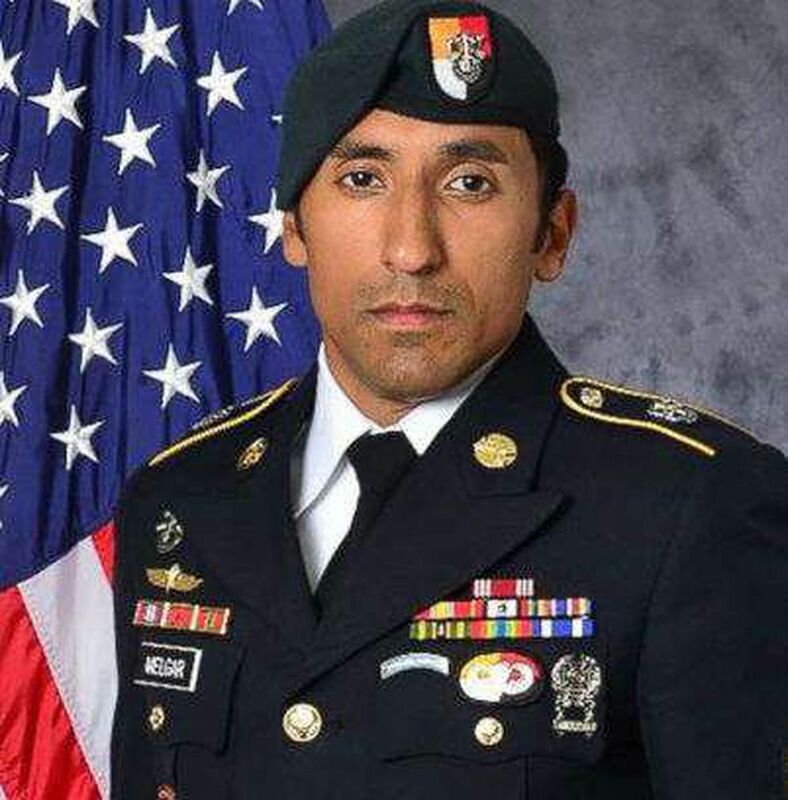 Melgar returned home a few hours after leaving the other service members behind on the way to the French Embassy party, and said he had made the right decision because it was a "high-class" event, the other soldier told NCIS agents a few months later, according to NCIS documents. Melgar said he had two or three beers there, the other soldier reported to investigators. Matthews, in his stipulation of facts, said he and the other three men who were charged agreed to restrain him up when they returned to the shared Navy-Army residence. The Marines brought more duct tape and a sledgehammer from their residence nearby. "The sledgehammer was not required for us to gain entrance to SSGT Melgar's room, but we used it because we thought that the noise associated with it would further surprise him," wrote Matthews, who was visiting Bamako for a few days. Within minutes, the situation had spiraled out of control. The service members attempted CPR on Melgar before retrieving a defibrillator and equipment to open an airway with an emergency procedure on his throat. They considered calling an ambulance, but they determined that it would take too long and transported him to a nearby clinic. Melgar was declared dead there. In the following hours, the men hatched a plan in which the SEALs would take the blame and say that the Marines had not been in the room when DeDolph put Melgar in a chokehold, the stipulations of fact said. The men sought to cover their tracks in other ways. The other soldier deployed with Melgar told NCIS agents that he directed one of the Marines to throw away the alcohol in the house because any service member subject to General Order No. 1 - which restricts alcohol consumption while deployed - would "get smoked" by authorities, according to an NCIS report in court filings. In the chaos, the crime scene was not fully sealed for hours, the documents allege. Scott Patterson, an assistant regional security officer with the State Department, entered Melgar's room with Madera-Rodriguez serving as a witness. Patterson was unaware that the Marine would later be accused of being involved in the death. Jason Willis, the regional security officer in Mali, told investigators that when he arrived at the clinic, Matthews was shirtless and had "blood all over his hands." DeDolph initially said the men had been wrestling, Willis told investigators, but he was "pacing, in a state of shock, repeating himself and 'not lucid.' " DeDolph also had blood on his hands, Patterson told investigators. A State Department spokesman declined to comment, citing the open cases. In text messages included in the investigative files obtained by The Post, Madera-Rodriguez told an American woman who had been out drinking with them that night that he thinks "about Logan's family all the time." DeDolph was "out of his mind" after Melgar's death, he said. The woman, who was working in Mali with the U.S. government, recalled speaking with DeDolph that morning several hours after the assault.